12.5" RCOS @ ~f/9 (2880 mm fl) at 0.64 arcsec / pixel. Zoomify image scale is 0.85 to 3.42 arcsec / pixel. 1/12/2010 to 3/15/2010 Chino Valley, AZ... with CCDAutoPilot3 & CCDSoft. eXcalibrator for (u-g), (g-r) color calibration, using 3 stars from the SDSS database. 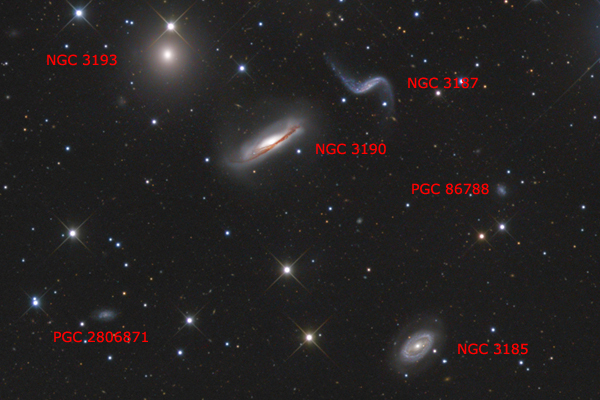 NGC 3190, 3193, 3185 and 3187 are the four dominant members of the Hickson Compact Group 44. 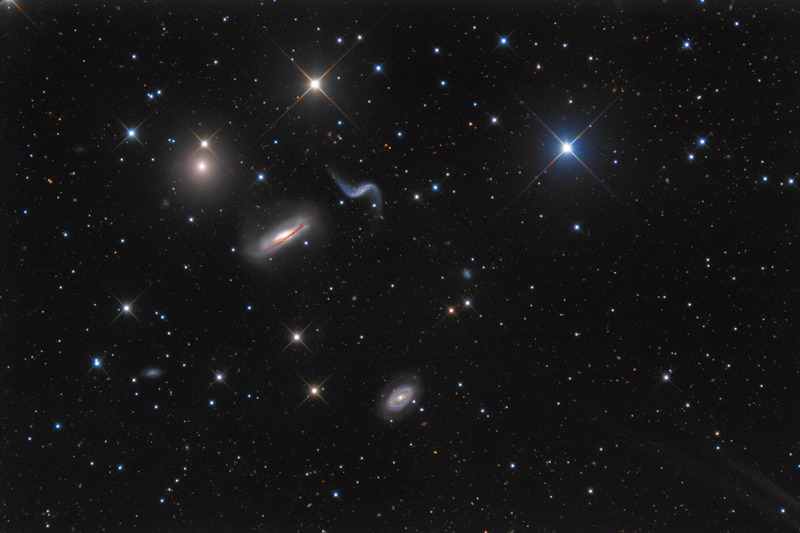 Many galaxies in Hickson 44, and other compact groups, are either slowly merging or gravitationally pulling each other apart. In particular, NGC 3190 and 3187 show signs of gravitational interaction. NGC 3190 shows of warping in its dust lane and NGC 3187 has developed tidal tails.